In November 2012, he got an early-morning call that a pair of donor lungs was available. Upon arriving at Ronald Reagan UCLA Medical Center, he was told of a new study testing an experimental device — a portable organ-preservation system that keeps donor lungs functioning and "breathing" in a near-physiologic state outside the body during transport to a recipient, instead of the standard method, in which the organs are kept in an icebox in a non-functioning, non-breathing state. 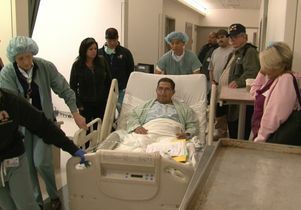 UCLA's lung and heart-lung transplant program is the largest lung transplantation program on the West Coast and leads the nation in patient outcomes. 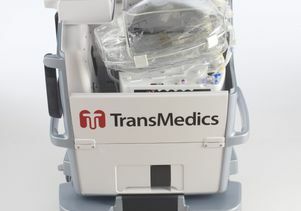 The program pioneers novel technologies in lung preservation, recipient immune monitoring and immunosuppression and is responsible for significant advances in transplantation for extremely ill and high-risk transplant candidates. 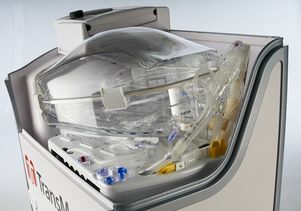 For more information about UCLA's lung transplantation program and the INSPIRE trial, visit www.transplant.ucla.edu/lung.